Sports apps put the latest news, schedules, and statistics just a tap away and some of them can be used to make predictions and win huge jackpots while enjoying to test your sports knowledge and challenge your prediction skills. Among so many sports apps available, finding the right sports prediction app can be tricky. In order to make the search easier for you, we looked and we discovered one amazing sports prediction competition app that offers you to win big. Let’s see what the app offers you. This is one highly entertaining football prediction app that is designed for all football lovers that like to try out their knowledge and skills by making weekly sports predictions and win huge jackpots for their correct guesses. Developed on android platform, easy for using, this app offers players to watch ADS to win coins, predict matches and win jackpots and even test out their skills by challenging people to compete against. With this incredibly fun sports competition app, users will have fun predicting matches and get their chance to rank high among players from all around the world. Xwin is offering its users different ways for them to enjoy the app while giving them a lot of achievements and jackpots for their sports knowledge and prediction skills. 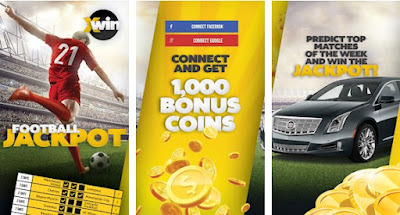 On the app, users are asked to only watch ADS to win coins, predict football matches weekly and win jackpots when they correctly guess the outcome of matches, ranking high among prediction players in the whole world. With this app, users can use different ways of getting coins like when they download the app and use the promotion core or when they connect their app to their Facebook or Google account. The app also offers its users to see the live score whenever they want in order to make it easier for them to make the right guesses and get closer to winning huge jackpots. With 24/7 customer support, users will always get help when they need it for any type of trouble they have with the app. By challenging their friends and family, users can compete with others and try to become the ultimate prediction player for this amazing sports prediction competition app. Download this app on Google Play for free to predict football matches and compete against others!